That question has come to me more than a few times since I wrote Monday that the last line of defense between the public and political corruption are the people — an informed, active, engaged people. To be fair, it’s awful easy to sit behind a keyboard and say everyone should get involved in government and be watchdogs, and it’s a whole other thing to actually go and do it. So, I’m going to give you a suggestion here. I’m going to recommend a good starting place, a way to flex your watchdog muscles. That’s the five-member commission that is supposed to hold politicians and public servants accountable, that’s supposed to uphold the state’s ethics laws and investigate violations. 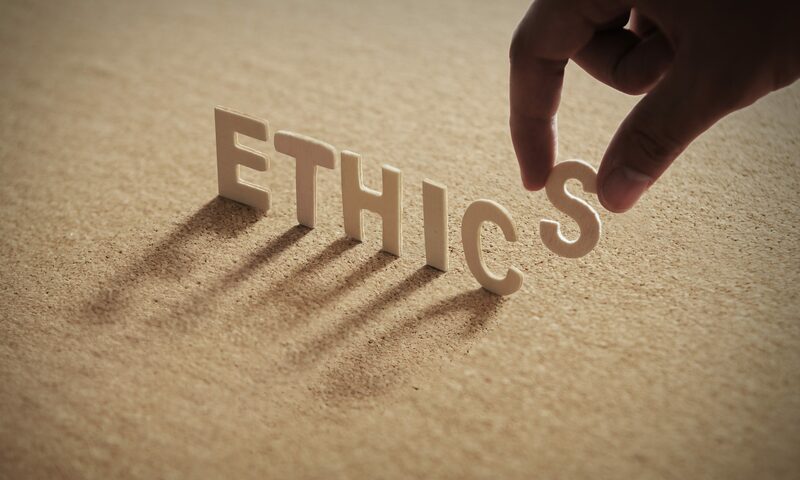 But more than a few times, the Alabama Ethics Commission has served as a safety net for crooks and given soft landings to public officeholders who should have fallen hard. The reason the Commission is able to get away with things like not upholding campaign finance reporting fines is because you — the general public — usually isn’t paying attention. And I get why. The meetings are boring and filled with complex and complicated arguments. And right in the middle of every meeting is a looooooong executive session, which sometimes stretches on most of the day. It’s hard to find agendas prior to meetings, and even if you do, the specifics of what’s taking place aren’t usually included. That said, your attention to what happens at these meetings is vitally important. Remember, this is the same group that started the ax falling on Robert Bentley. And as luck would have it, we know of something that’s supposed to be happening at a meeting in the near future, most likely at the Dec. 19 meeting. The Commission will be asked to rule on Attorney General Steve Marshall’s accepting more than $730,000 in questionable campaign donations. Now, I’m not telling you what to believe on this. Although, I’ll gladly tell you that I think the donations Marshall accepted clearly violate Alabama law and that the Commission should find him guilty of ethics violations and send the case to the Montgomery district attorney’s office for prosecution. But you make up your own mind, and no matter what you end up believing, contact the Alabama Ethics Commission and let the commissioners and staff know that you’ll be paying attention. Alabama has a ban on multiple political action committees transferring funds between them and then donating that money to a candidate. The reason for this ban is simple: those transfers mask the original source of the funds, leaving it impossible for regular folks to determine who’s paying to influence their government. As Steve Marshall argued in a brief before the U.S. Supreme Court, the ban on PAC-to-PAC transfers is the only thing standing between the citizens and a quid pro quo government. There is no corresponding federal law, meaning federal PACs are free to participate in the transfers. The Republican Attorneys General Association PAC participates in such transfers, and it has long used those tactics to hide the source of funds going to GOP candidates. RAGA made five donations to Marshall totaling $735,000, and it used funds that had been part of PAC-to-PAC transfers. While Alabama law does not trump federal law, there are specific guidelines within the Alabama ban on PAC-to-PAC transfers that make it clear that the responsibility of following the law is the candidate’s. For example, the law says it applies to both state and federal PACs and it provides a remedy for the candidate if he or she accepts PAC-to-PAC money. That remedy gives the candidate 10 days to return the funds. If he or she doesn’t, each instance is a crime and accepting multiple donations in violation of the law rises to a felony. It’s unclear what the Ethics Commission plans to do about all of this, but given the fact that it let this matter — which was filed back in the summer — go unaddressed until after the election gives me a good idea. But what should be made clear to the commissioners — chairman Jerry Fielding, Charles Price, Butch Ellis, John Plunk and Beverlye Brady — is that you’re watching them. You’re paying attention to what they do and that you expect the right thing to be done. Call 334-242-2997 and ask to speak with Fielding. He’s the chairman. Or you can email the Commission at [email protected]. That number is the main line for the Commission and the email is the general office email. It probably shouldn’t be a surprise that there are no individual phone numbers or email contacts for them. Corruption grows best in a dark, quiet hole. They’re counting on you not paying attention.